EAV, otherwise known as Electro Acupuncture Voll, was developed over 50 years ago by the German doctor Reinhard Voll. EAV is a natural and holistic approach to disease diagnosis and treatment. The basic notion behind Voll’s work was the idea of focal infections. It is the idea that an infection someplace in the body – tonsil, gums, toenail, ear, or root canal – might be able to spread to another perhaps far remote part of the body. There was the feeling that was largely accepted that a gum infection, for example, might be able to end up somehow affecting the heart or other part of the body, and result in a dangerous or even life-threatening infection there. Dental research has shown that inflammation of the jawbone can act as a seeding ground for a host of health problems including lethargy, poor concentration, irritability, poor sleep patterns, lower back pain, allergies and migraine. Focal infections in the head can have the strongest affect on the body, because of their proximity to the brain and the central nervous system. Prior to the penicillin discovery in the 1940’s, German research began to study chronic health problems that appeared to have obscure causes. What they found was interesting, they found that even a small problem in one part of the body could cause a disorder in a more distant part and apparently unconnected area. Chronically inflamed areas, like a “rumbling” appendix, recurrent tonsillitis, and dental conditions all were good examples of likely culprits. However, with the discovery of wonder-drugs to combat infection, concern for where the infection was coming from suddenly became a lot less important than just “which particular germ” the infection was caused by. All that a doctor needed to do was to identity the specific germ and then work out which particular antibiotic was needed. We got away from treating the cause to treating the symptom. Root canals In recent years, there has been an increased awareness of the dangers of mercury dental fillings, and their potential disastrous effects on systemic health. I find it very interesting however, that today it is seen as acceptable to keep dead teeth in the mouth! 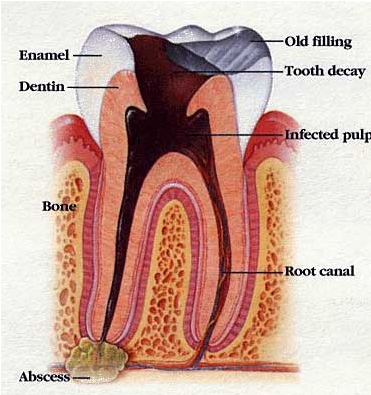 Root canals are able to harbor a multitude of detrimental bacteria. Bacteria harboured by root canals (focal points) are able to replicate and migrate via the blood circulation to other regions of the body where they can instigate their toxic effects. Root canal fillings remove any ability of the blood to circulate to the interior of any tooth that has undergone the root canal filling procedure. Antibiotics and natural medicines that are supposed to kill the bacteria (by way of the blood circulation) are now unable to reach the bacteria in the root canal-filled tooth and are therefore unable to inhibit their replication. A major problem with the mouth is the sheer amount of bacteria present, so the bugs stay, grow, and replicate, and eventually relocate! 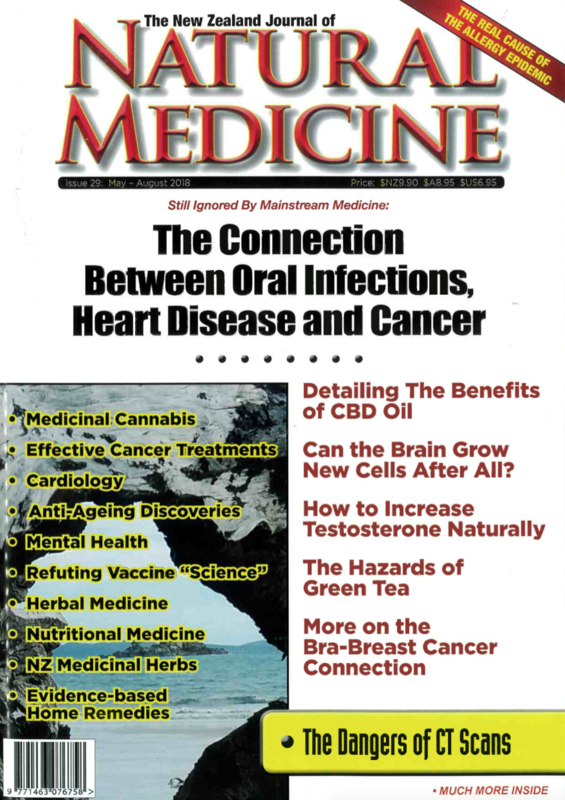 In 1996 the American Journal of Periodontology devoted a whole issue to this subject relating periodontal disease to a variety of chronic and degenerative systemic diseases which included coronary heart disease, diabetes, auto immune diseases and even low birth weight in babies. One of the world’s respected dental journals 2 stated recently:” The detrimental effect of focal infection on general health has been known for decades. Chronic dental infections may potentially worsen the condition of many medically compromised patients." We have all had this at some stage. Gingivitis is a condition which involves inflammation of the gums as a response to plaque on adjacent teeth. It is characterised by redness, bleeding, and a puffy red and shiny enlargement of the gums. There is a lot of it about, because apparently at any given moment approximately 50% of the adult population (aged 30 or over) are afflicted with gingivitis!. Folic Acid – 4 mg per day orally, may well help to prevent and treat gingivitis, by increasing your gums resistance to the bacteria and by reducing inflammation of the gums. A common deficiency. Green tea helps prevent gingivitis by inhibiting the growth of the bacteria that are the underlying cause of many cases of gingivitis. Try two cups per day. Nat-Stim, an immune product can help with flagging imunity. Adrenal-C Formula is always a great choice, one tablet three times daily will help to boost immunity whilst you are dealing with the cause – the infected tooth. Co Enzyme Q 10 – A case report 3 of a patient with advanced gingivitis who was placed on therapy consisting of 30 mg coenzyme Q10 per day. Within one week the patient experienced a reduction in pain enabling him to brush his teeth along with a significant reduction in inflammation. I have found that many people taking the so called Statin drugs (Zocor, Lipitor, etc) to lower their cholesterol levels, have significant Co Q 10 depletion, and they also have gingivitis. Dr. Weston Price of Cleveland, Ohio, was an American dentist in private practice who had a most amazing career in the 1930’s. He taught at dental schools, authored many technical papers and books, and studied the role of root canals in promoting chronic diseases of various types. For over 9 years, Dr. Price and his wife traveled to isolated villages in the Swiss Alps, the coast of Scotland, to the Andes Mountains in Peru, to several locations in Africa, to the Polynesian islands, to Australia and New Zealand, to the forests of Northern Canada, and even to the Arctic Circle. Dr. Price visited and studied fourteen different groups of native peoples. Being a dentist and nutritionist, he counted cavities and physically examined the teeth of many people from various cultures over a long period of time. Imagine his surprise to find, on average, less than 1% of tooth decay in all the peoples he visited! Price even commented, that the Maori skulls from the Pacific, had the best arches and showed the least amount of cavities per 1000 skulls, of any of the cultures he had ever visited! Dr. Price also found that these people’s teeth were perfectly straight and white, with high dental arches and well-formed facial features. And there was something more astonishing: not one of his subjects had ever used a toothbrush! Of course, the foods that these people ate were natural and unprocessed. Their foods did not contain preservatives, additives, or colorings. When available, natural sweets like honey and maple syrup were eaten in moderation. Dairy products were not pasteurised, homogenised, or low fat. The animal and plant foods consumed were raised and grown without pesticides and were not given growth hormones or antibiotics. In essence, these people always ate raw, natural and organic foods, which is entirely different dietary concept than we have today. Unfortunately, today’s poor dental health is a reflection of the change in today’s dietary habits. Today we are more inclined to eat an over processed and poor nutrient dense diet. Below I have listed some of the ways in which you can improve your oral health, decrease your chances of gum disease, and reduce the chances of losing any teeth. High consumption of apples (4- 6 per day) is associated with an increased incidence of tooth decay. A study 4 in America found that consumption of a high amount of apples and to lesser degree grapes, contributed significantly to dental caries. The fruits did however have a beneficial effect on the periodontal status. My recommended approach for anyone concerned about cleaning up their mouth, is to approach a “holistic” dentist. Such dentists do not place mercury amalgam fillings, but use bio compatible white composite fillings instead. Gone are the days of poor quality compounds, your dentist can now place a white filling which is almost as durable as the ugly black fillings. Holistic dentists specialise in the removal of mercury-based amalgam fillings and replacement with a bio compatible compound. Explore all your options with your dentist before going ahead with a root canal procedure. A more visual check, (although understandable, too invasive for some) is to have a full X-ray of all the teeth and jaws taken by a dentist experienced in detecting osteitis. Have all osteitis removed, X-rays are still the best way of detecting osteitis. Have a Hair Analysis performed, you will easily and accurately find out what your level of mercury is in your body. (As well as revealing your level of molybdenum) Check with your Naturopath. For those who have been chronically unwell for many years, and where no apparent cause can be found for their immune-compromised illness, having dead teeth and root canal filled teeth removed is a good choice Auto-immune diseases are a prime example, I have seen patients improve in health once their root canalled teeth were removed. Forget mercury dental work during pregnancy. Also, you are better to wait until you have stopped breastfeeding if you are considering mercury removal. Research has shown that there is often a flood of mercury excretion after the last mercury filling is removed. Use a natural toothpaste, free from fluoride. Many good brands are available from your local health food shop. I like tea tree toothpaste, great for gum health. Try rubbing your gums once or twice a week with a drop of tea tree oil or two. Plagued with decay inspite of rigorous dental hygiene? Check your levels of the trace element molybdenum. Besides selenium, many areas around New Zealand have a general lack of molybdenum in the soil. Molybdenum deficiency has been closely linked to an increased risk of tooth decay.3 Other minerals essential to prevent tooth decay are calcium, magnesium and zinc. Sea salt in tepid water is an effective mouth rinse. Rinse your mouth regularly, floss with caution and do use a soft brush. And don’t forget to brush your tongue. 1.Quintessence International, Page 335; 1997. 2.Dr. Robert Erdmannn & Meiron Jones. Minerals: the Metabolic Miracle Workers. Century. London, UK. 1988:110-111. 3.Bliznakov, E. & Hunt, G. L. The Miracle Nutrient: Coenzyme Q10. Thorsons Publishing Group, United Kingdom, 1988:148. 4.Grobler, S. R., et al. The effect of a high consumption of apples or grapes on dental caries and periodontal disease in humans. Clin Prev Dent. 11(1):8-12, 1989. 5.Paul Callinan. Australian Wellbeing Magazine No. 54 Osteitis Page 46 – 48 1994. 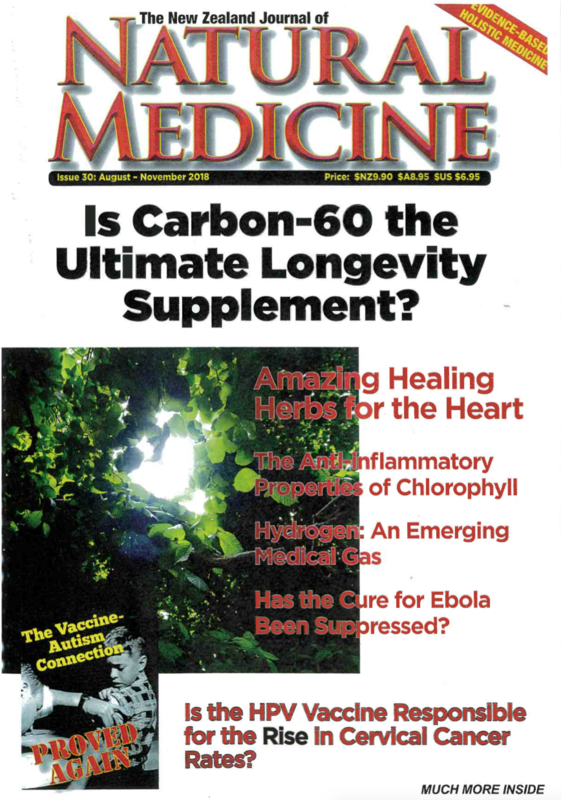 Why did Dr. Wilson Create Adrenal Fatigue Products? Stressed during the Christmas Holidays? J on Do you have Adrenal Exhaustion?